Say what you want about Lady Donli, the one thing you can’t deny is that she has become the female face of the new generation of Nigerian musicians stepping out from behind their home studios and bedroom booths and taking on the industry. This is especially remarkable considering Donli only moved back to Nigeria late 2016 with little more than the recording equipment she saved up during college for and a dream. In 2018, Donli headlined her very first Lagos concert (the litmus test for if you’ve broken even as an indie artist) at Freedom Park and her audience transcended the teenage ‘Lady Bugs’ that form the core of her stanbase online. 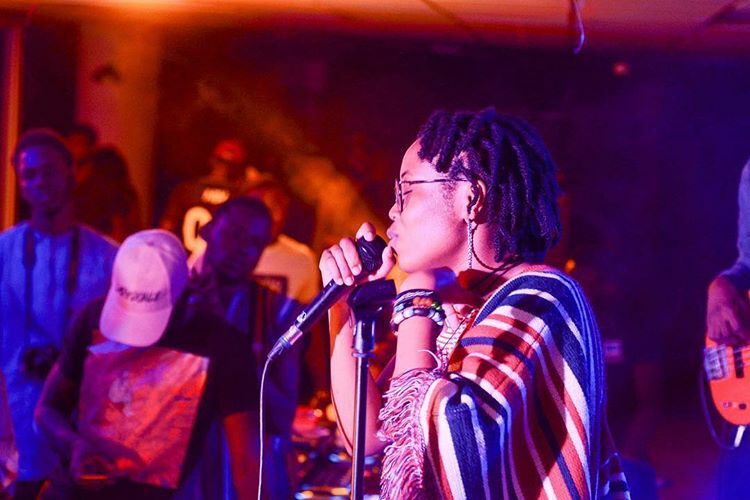 Not long after, Donli announced that in partnership with youth platform Radr Online, she was taking on a series of living room concerts, around Lagos, in a bid to better connect with her fans. The Living Room concerts aren’t exactly a new concert, Songs From A Room (SOFAR) is a concept built entirely around the idea of music lovers opening their homes to performing artists for small, intimate concerts. SOFAR recently opened a franchise in Lagos that has seen artists like Tomi Owo, Maka and Falana perform. But what Lady Donli is doing with her living room concerts is shifting the pace and controlling the narrative around her music is introduced to new audiences and how her sound and image is perceived. One of the big problems the Nigerian ‘New Age’ music scene has struggled with is gaining performance experience. Because there are few paid performance opportunities and rising costs of building a live band or even a dedicated DJ, emerging artists often have to scrounge supporting performance slots where they are hustled and off the stage, with no opportunities to rehearse their sets and learn how best to connect with their audiences. By organizing these concerts herself, Lady Donli is hacking the system and subverting it to serve her peculiar needs while giving her fanbase what it wants; more Lady Donli. Hopefully we’ll see her open her gigs to new acts looking for a launching pad. Bravo, Lady Donli, this is how you lead a movement.